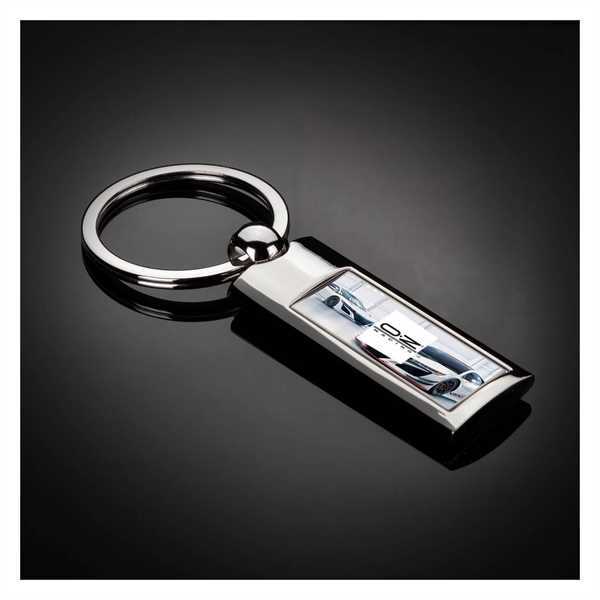 Rush Service : 1 business days - A rectangular polished metal key chain with a brushed metal center. Laser Engraving or Digital Insert included in the price. 24hr service is not available on Epoxy Dome. Epoxy Dome will require 3-day production. Includes a gift box. Size: 1 7/8 " x 3/4 "